If you signed up for the programme, you can login here. I experienced this and it was a real struggle. My knowledge was further ahead than my skill level. I understood principles and techniques that I saw or read about but couldn’t apply them properly. Teachers did a good job explaining the ideas, but understanding alone wasn’t enough! What I always found difficult about learning to draw figures is that you have to learn a mixture of skills simultaneously. Normally tutorials and lessons are focused on one thing at a time, but figure drawing doesn’t let you work on one thing at a time. We will go through drawings together, finding the important things in the pose and building our drawings step by step. Most of the program is structured not around individual techniques, but around the drawings. We’ve designed this more like a training program for an athlete than a course that only conveys information. In each drawing we will use a variety of techniques, because that’s how drawing works. We’ll establish structure, gesture, tones and good proportions, developing our line quality and much more, but we’ll take it slowly and make each step doable. There will also be feedback and support throughout. 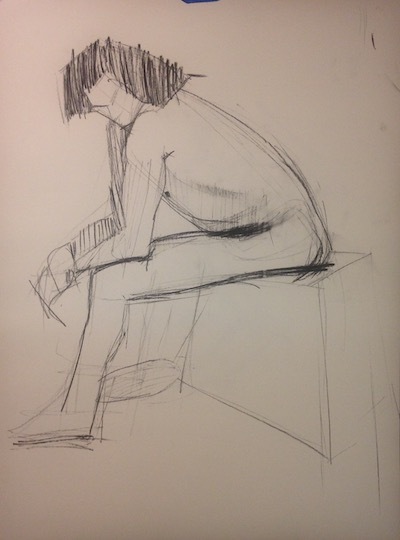 We love life drawing, but more importantly we love helping people become good at life drawing. It's been amazing to help tens of thousands of people navigate the tricky path to beautiful figure drawings through Love Life Drawing and Figuary. This programme is our chance to work more closely with a smaller group of people. The program will run for 10 weeks, but you can go through it in your own time because you'll have lifetime access to all the content and materials. The main lesson integrates teaching with practice. We won’t just focus on one technique in each lesson, instead we will focus on one drawing that brings together techniques. 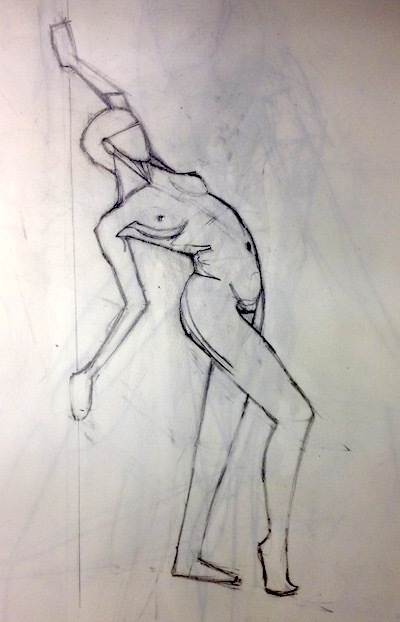 We will break down the subject, look at how each technique such as alignment, anatomy, gesture, negative space and so on can be used to help you draw that pose or part of the figure. While we explain and demonstrate all this, at each stage you will be given time to do it yourself. These lessons will be around 30 minutes including time for you to draw. The 2nd lesson will follow a similar format to the main lesson, but we will guide things less. Some weeks, you will draw first and then we will look at corrections. Other weeks, we will speed things up a little bit and get through 2-3 drawings instead of one. These lessons will have less instruction and more time for you to draw. We’d like to encourage as much practice as possible, so we want to add some extra practice sessions which you can do if you have the time. These practice sessions will include a short video taking you through a warm-up, explaining the goals of the session and some things to look for in the poses you’re going to draw. From there, you’ll be directed to a Croquis Cafe video from their archive or we’ll select a series of reference photos to draw depending on what we are working on that week. Sometimes drawings are a struggle and you’re not sure why. This is where feedback can be so valuable. The weekly group feedback video will involve us choosing example drawings from students and explaining how to overcome the challenges – similar to those we did for Figuary, but more in-depth. There will also be a community component to Life of Drawing. The supportive community was something we loved about Figuary, and we’d like to continue that into Life of Drawing. We will provide discussion forums where you can ask (and answer) questions, talk about drawing topics and get clarification about anything that is confusing you. If you love life drawing but you struggle with proportions, gesture or making confident marks, this is for you. If you are willing to put in practice time, this is the programme for you. If you have seen our tutorials on YouTube or on this website and found the content has helped you, you will love this programme. If you want to be able to design the light and dark tones in the drawing, this is for you. If you want to know how to approach each area of the figure, including the face and hands, this is for you. If you are an advanced artist who can effortlessly establish proportions, gesture and values, it may be too basic for you. If you are looking for ‘secrets’ that just by knowing them will transform your drawings, this programme is not for you. It only works if you do the practice. If you want an academic anatomy course, this is not it. We will cover basic anatomy where it is useful for our observational skills. We ask that only people aged 18 and over sign up for the course. 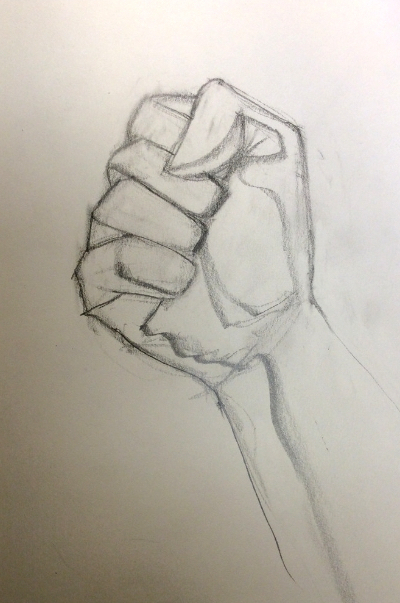 This is the first time we are running the Life of Drawing program, but here’s an example of what our tuition can do. We’ve been helping Kasem with life drawing for around 6 months. In that time, his drawings have improved dramatically. We can’t take all the credit – Kasem is a great student and does the exercises patiently and thoughtfully. Kasem had already taken some classes and was doing a lot of things well, but the skills hadn’t yet come together fully. When does Life of Drawing start and finish? The program starts in early April 2019. The first week of April will be a preparation week – you’ll do some baseline drawings, get to know the learning platform and we’ll talk about materials to use during the programme. The 10 week programme will start on 8th April. There will be a 1 week break after 5 weeks (13th – 19th May) and then we will do the final 5 weeks with the programme finishing 23rd June. You don’t have to do it all during the 10 weeks though – you’ll have lifetime access to all the content, so you can take as long as you like over it. Enrolment will be open until Sunday March 31st and you can sign up below. You will have unlimited access to the lessons and practice sessions for as long as you like – across any and all devices you own. What if I am busy during the 10 weeks? You don’t have to do the programme during the 10 weeks – since you’ll have lifetime access to the programme’s contents, you can do the lessons in your own time. The only exception is if you signed up for the version with feedback – you would need to submit your drawings by the end of the week to be included in the group feedback video. You can request your written feedback at any point in 2019 (more info on feedback below). We would never want you to be unhappy! If you sign up and are unsatisfied with it, contact us in the first 14 days and we will give you a full refund. Will I get feedback on my drawings? We have created two types of membership to the program depending on how much feedback you would like. The first tier call Content & Community will be for people that don’t want feedback and just want to do the lessons and practice in their own time, and take part in the discussion forums if they want. The second tier called Content, Community & Feedback will be for those that want feedback – they’ll get 3 rounds of personal written feedback and will be included in at least 2 of the weekly group feedback videos. To be included in the group feedback videos, you would need to submit the video by the end of that week. For your written feedback, you can request those at any point in 2019. What is written feedback and what is the group feedback video? Written feedback involves us reviewing your drawings from the lessons and practice that week and writing out 3-4 paragraphs of guidance and advice. Generally it will follow a structure of what is working, what can be improved and the exercises / tactics you can use to make those improvements. Group video feedback is similar in format to the weekly roundups we did during Figuary, but more in-depth and longer. There will be one for each of the 10 weeks of the programme. The feedback will be a selection of drawings from people on the feedback level, and we will aim to ensure everyone on the feedback level is included in at least two of the weekly video feedback videos (as long as you submit the drawings in time). Can I try a lesson first? Yes! We have put up a sample lesson here if you’d like to see what a lesson is like.